We are always accepting applications, however currently our needs are limited to certain geographic areas. Please apply below to keep an application on file. We will contact you as soon as we have an opening in your area if we feel the program would be a great fit for you. Must use the hashtags #momsontherun and #MOTRstrong as applicable when posting on Instagram, Facebook, Pinterest and/or Twitter, and agree to follow corporate social media policies and branding guidelines. 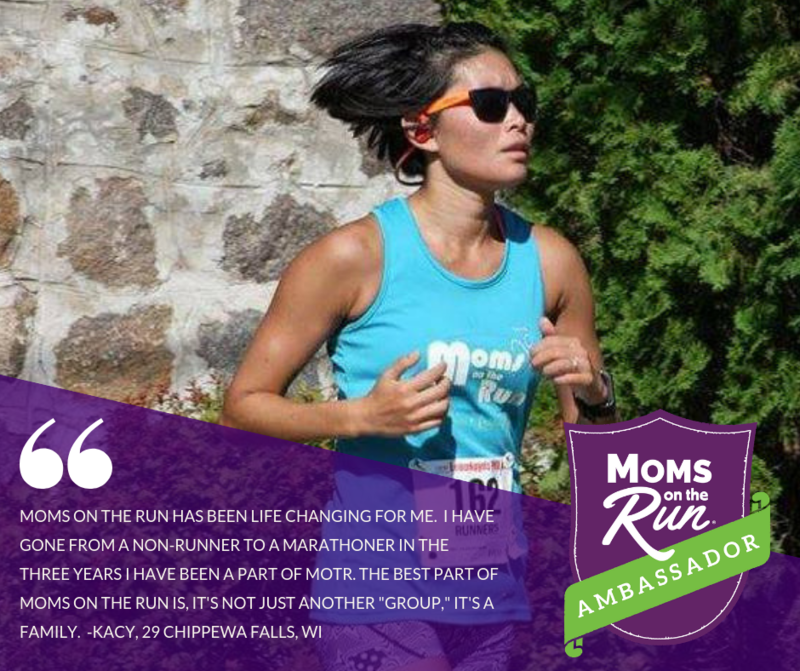 Ambassador agrees to wear Moms on the Run branded gear the majority of the time during training sessions and while racing in events. Run a minimum of 3 races/year wearing Moms on the Run gear. Volunteer/Event Help: 5 hours of event help during the agreement; wearing Moms on the Run gear and talking to people about MOTR at race finish lines, expos, or other community events, to be determined. MOTR will reach out with opportunities and Ambassador is responsible for arranging these activities. Run or work out with her MOTR location a minimum of 1x/week during the active outdoor season and a minimum 2x/month during the off-season, where available.